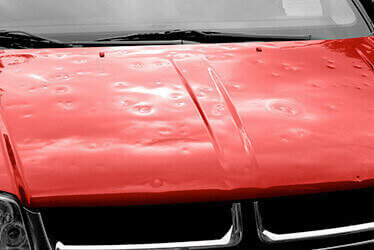 What Can Be Fixed With Paintless Dent Repair? Although the idea of a quick and affordable fix is always alluring, it is important to understand what can and what cannot be fixed with PDR. The end goal should always be a perfect looking auto body. Most commonly, paintless dent repair is used to fix hail damage, dents caused by shopping carts or banging doors, minor creases and so on. Usually, the size of the dent determines whether PDR is a possible fix or not. Sometimes though, even dents that are several inches in diameter can be fixed through this technique if the paint is not stretched. Shallow large creases can also be repaired with this method, but sharp dents and dings usually require body fillers and repainting. The experience of the technician is also a factor, so be sure to contact CARSTAR #15288 in Yelm, WA to have our expert technicians assess the damage to your vehicle and recommend the best course of action. There are basically two ways to perform paintless dent repairs: from the inside (pushing the dents out), or from the outside (pulling them out). Whichever method they choose, the technicians will have to manipulate the metal at the right height and in the precise locations. To repair dents and dings from the inside, they'll utilize metal rods and body picks, while fixing creases from the outside requires glue and specially designed tabs. The exact method is greatly influenced by the location of the damage, the size and the extent to which the paint has been stretched. In many cases, even though paintless dent repair is not a viable solution to fix the damage, it can still be used before repainting, as a way to reduce or eliminate the use of body filler. Learn more by contacting CARSTAR #15288 in Yelm, WA. Why Choose CARSTAR Yelm, WA For Your PDR? We have some of the best technicians in the field - it's as simple as that. 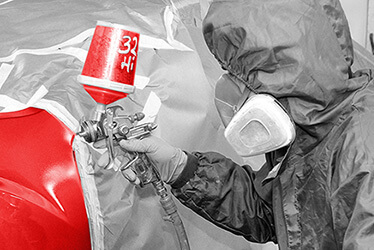 Paintless Dent Repair has become very commonly used for fixing minor dents and dings, and the technique has evolved, but it still involves a high level of manual labor. The more skilled the technicians, the better the chances of repairing even larger dents. The location of the dent, the size and the extent are all factors that influence whether or not PDR is a feasible solution, but skilled and experienced technicians can certainly tip the balance. Not only that, we'll also make the process as stress-free as possible for you. We liaise with the insurance, conduct thorough damage assessments, and make sure the car is delivered to you fully cleaned and in top shape. Paintless Dent Repair is a great solution for minor fixes. It is quick and affordable and can leave your car in an excellent condition. Nonetheless, you may need a little more from your auto body shop further down the line, so check out the additional services we provide at CARSTAR #15288 in Yelm, WA. If your car has suffered through a storm, we offer hail damage repair that promises to get your car in pre-storm condition as soon as possible. We also offer auto collision repair and 24/7 accident assistance, so give us a call and we'll walk you through the entire process, from assistance with tow service to damage assessment and repairs plan. The center provides fleet services as well, no matter the size or type of the fleet.